White mold often does not receive the same attention as its darker counterparts. But white mold really should cause the same concerns of structural damage and health risks. This fluffy white mold can be found anywhere a condition conducive to mold growth are present, and warrants immediate mold removal despite its less-lethal appearance. What Does White Mold Look Like? “White mold” can apply to various mold types. They can be hard to distinguish because most types of mold actually have a various times when they appear white. True white mold sports a bright shade of white and appears quite fluffy. It can appear as numerous white spots or blots, or even small fibers when the growth is uncontrollable. A large colony of white mold usually releases musty smell, just like other types of mold. 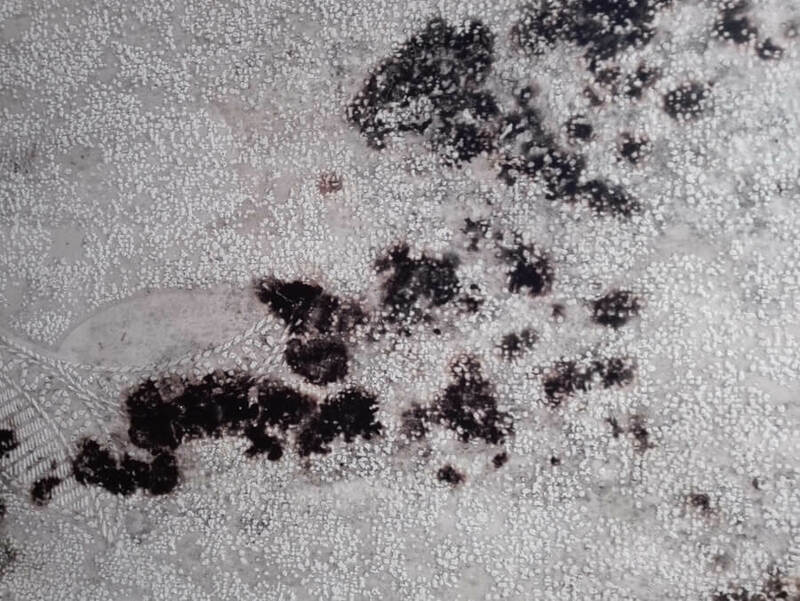 There are times when efflorescence is mistaken for white mold. Efflorescence usually appears on concrete. It is considered a salt deposit and forms with water from the ground seeps through the concrete and draws the mineral with it. When the water evaporates it leaves behind the visible white stuff that many homeowners mistake for mold. The easiest way to distinguish white mold from efflorescence is to put some of the stuff into a drop of water. If it dissolves, it is not mold. Also, since efflorescence is crystallized salts, it breaks into a very fine powder if squeezed between fingers. Efflorescence doesn’t form on wood. So, if you see a white substance on your wood trim, it is most likely mold. At first it will look like small, white specks pf dust. It will grow if not removed. There are several conditions that can lead to the appearance of white mold. These include leaks and humidity. White mold loves warm, dark, wet places. This is why it tends to easily grow in basements. The lack of light in the basement also easily allows white mold to cover a large area before it is even detected. To make matter worse, it likes to hide in corners and behind furniture. The same problem can happen in other dark places at home. Ceiling, storage, under the sink, or behind the walls can become an ideal place for white mold to grow. The problem can get worse if there is undetected leakage or plumbing problem. All molds, including both white mold and black mold should be considered a potential health risk and removed from the home. Removing white mold requires slightly different treatments, depending on what objects that get attacked. Luckily, it is easier to remove than dark mold, especially if does not release spores yet. A team of professionals like the mold experts at Mold & Air Quality Professionals can assess the situation identify the mold, its origins and customize a comprehensive plan for mold removal. Contact Mold & Air Quality Professionals today to see how we can help you breathe easier.